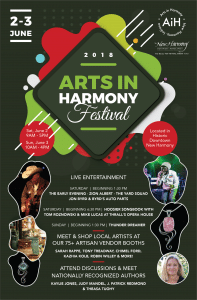 2019 Arts in Harmony Festival is the early summer celebration of the arts in New Harmony. 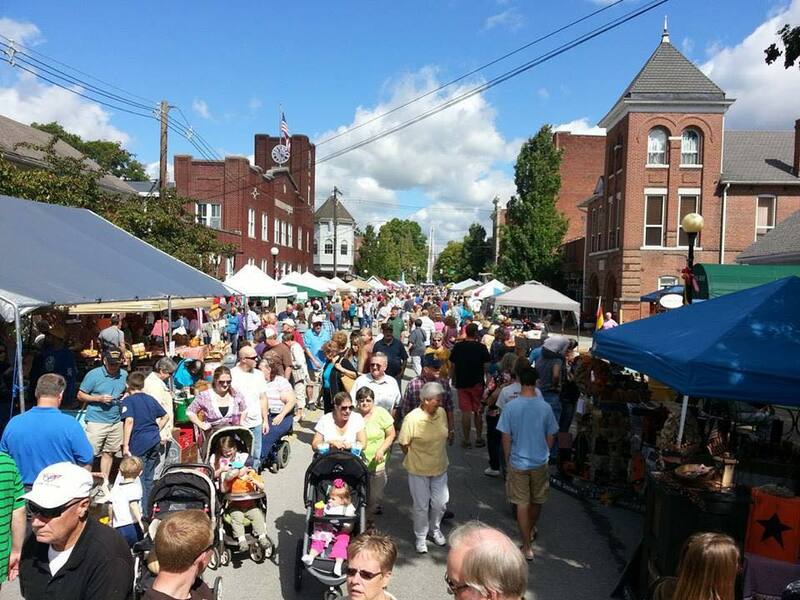 The festival celebrates and embraces all forms of art – Fine artist, Fine Crafts People, Authors, Poets, Chefs and Musicians come together in the heart of the New Harmony District to perform, demonstrate, and sell their work and celebrate the Arts Culture here and throughout the region. With 75 or more artisans booths, lectures and readings from authors and poets, and several live music performances; cooking demonstrations and artist demonstrations -it is a fun filled and family enriching festival. The festival admission is free to the public. Download “Arts in Harmony” vendor application, and/or food vendor application. If you prefer to submit online applications for artist and food vendors for the 2018 Arts in Harmony Festival, please see our Forms Page. You can contact Tony Treadway at 63tonyt@gmail.com or 618-554-2913.